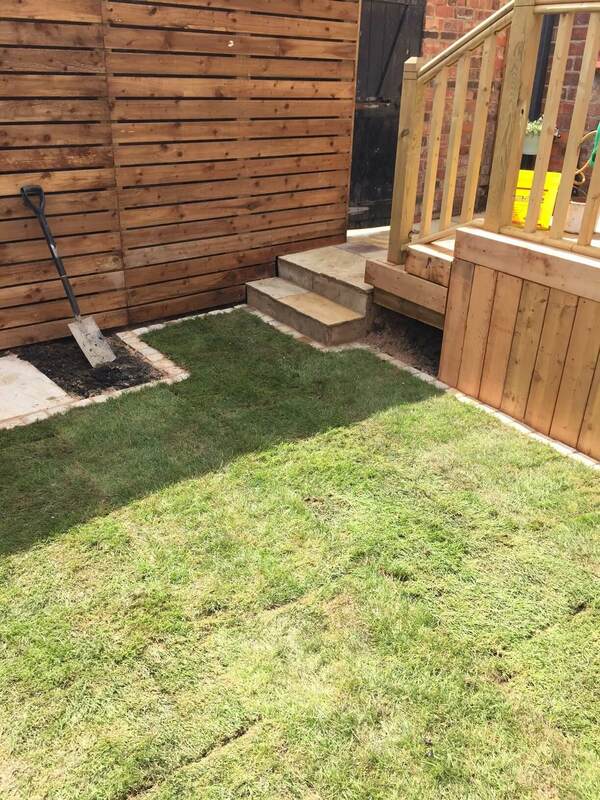 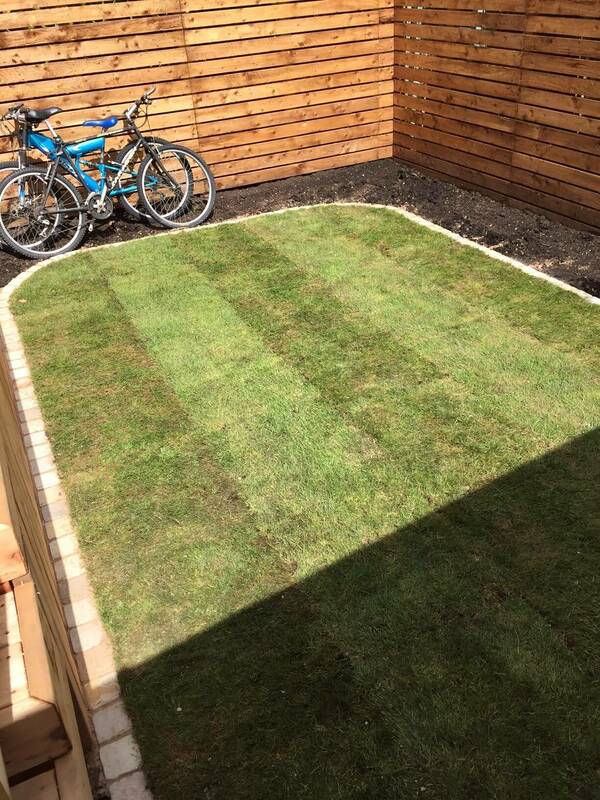 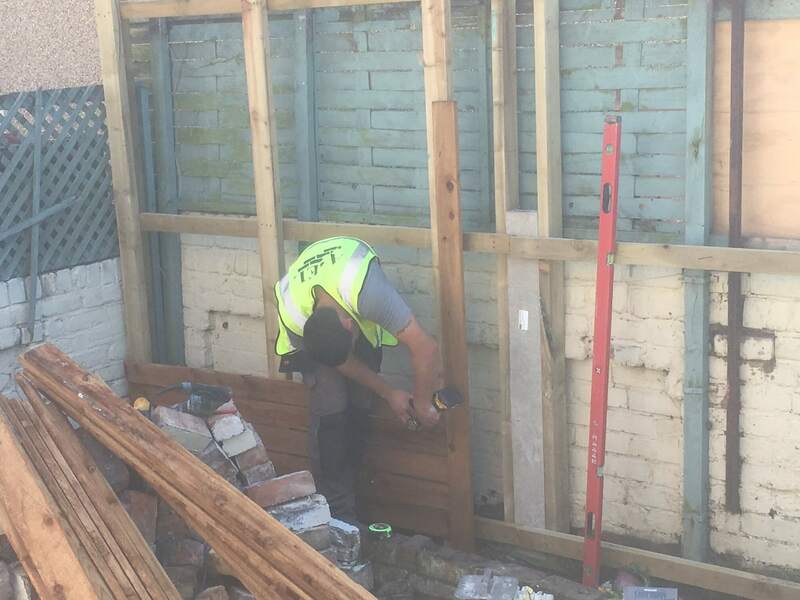 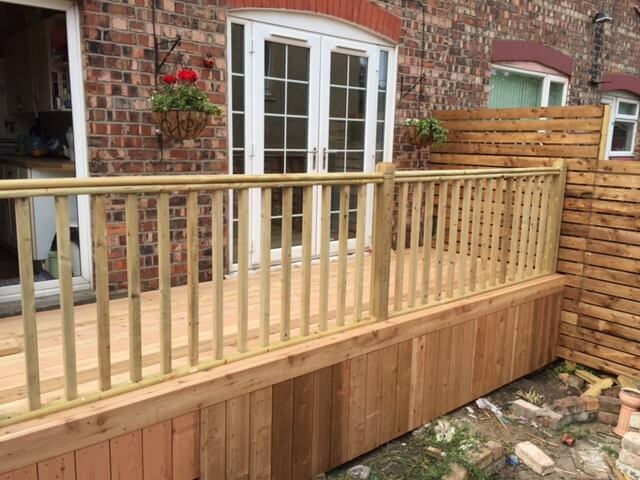 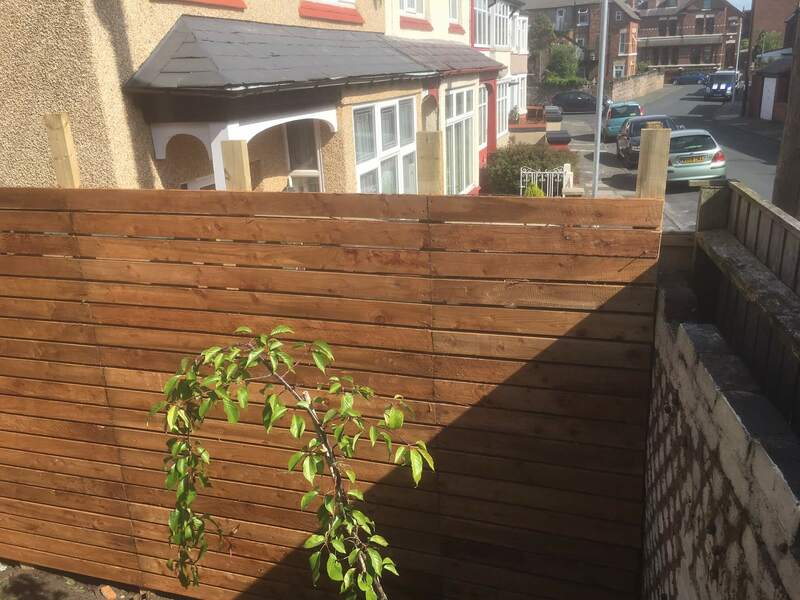 This landscaping garden makeover project was carried out at the Wallasey area of Wirral. 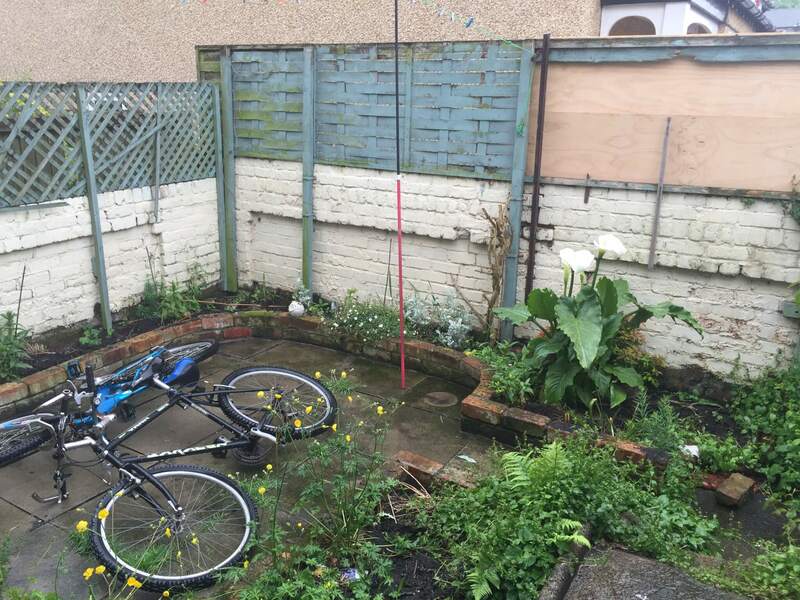 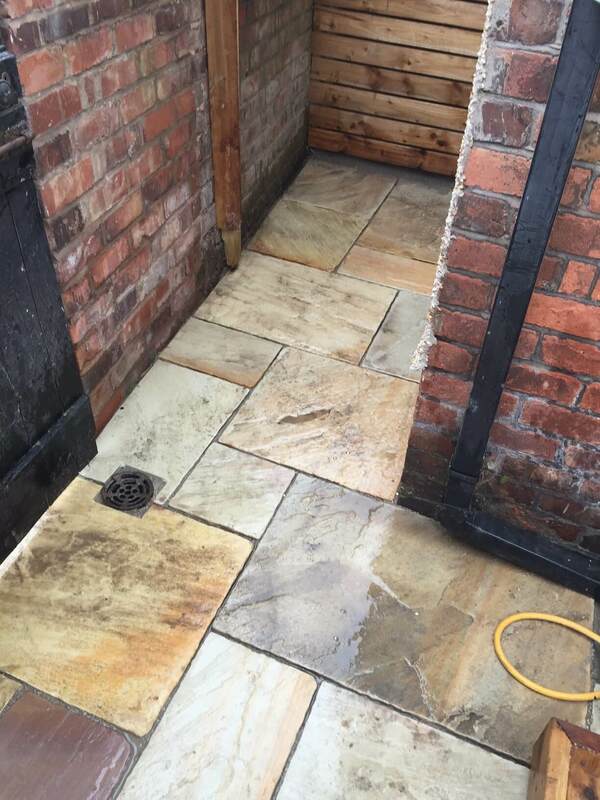 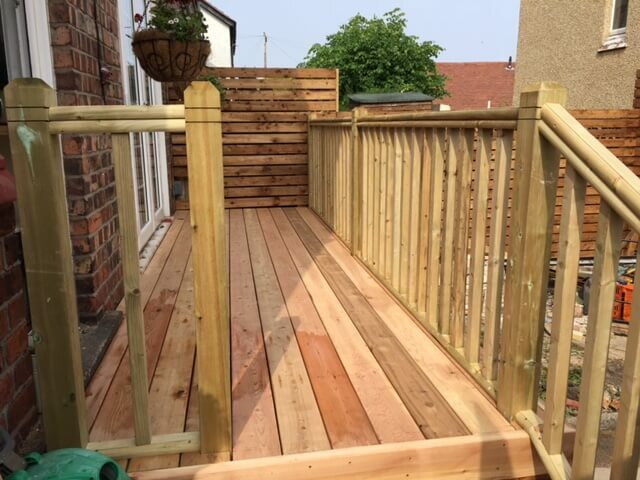 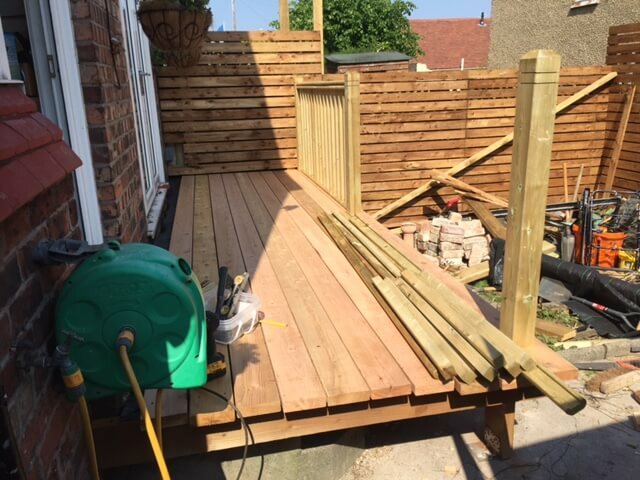 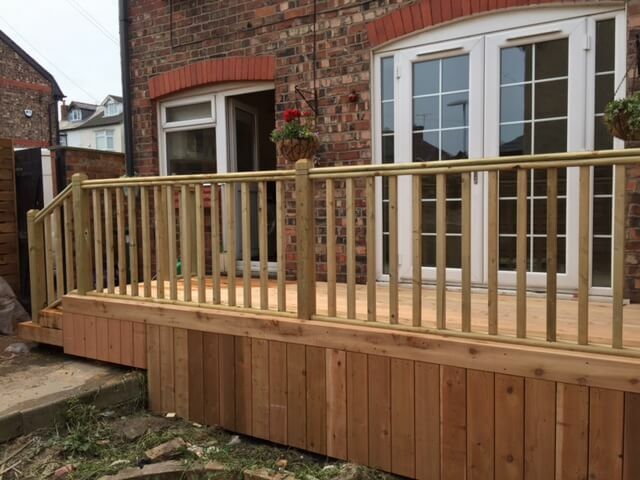 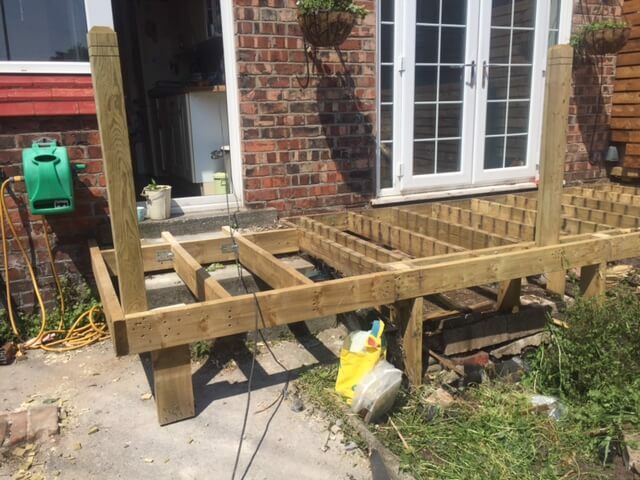 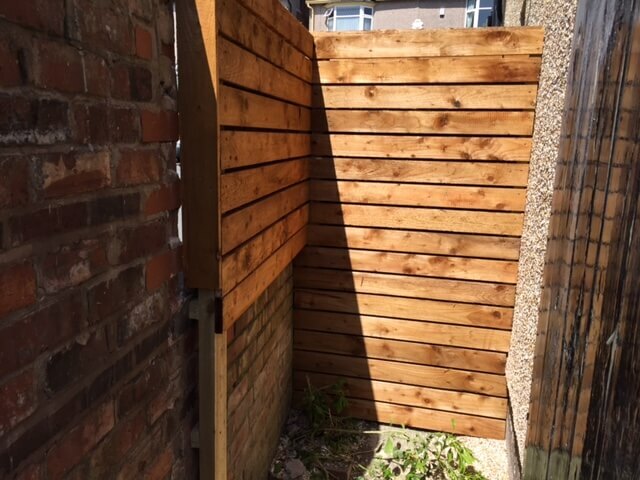 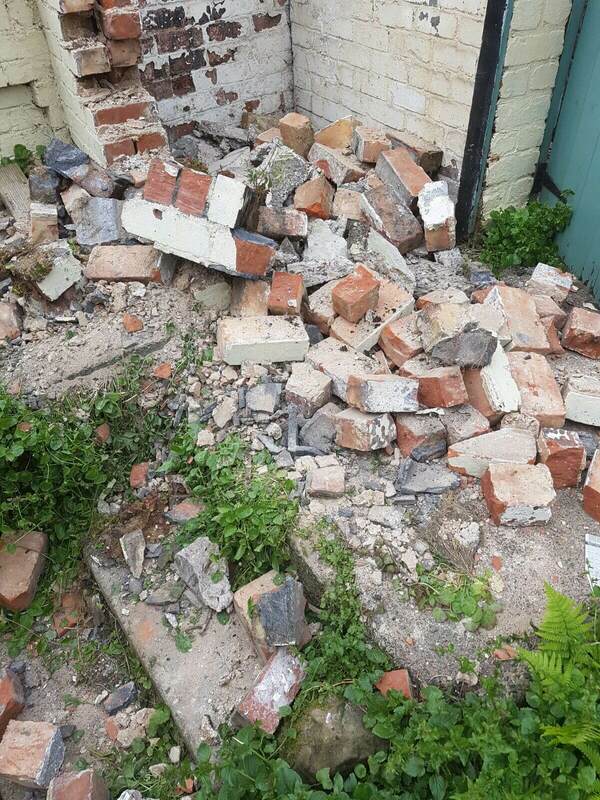 Here we transformed a small rear garden in the Wirral area. 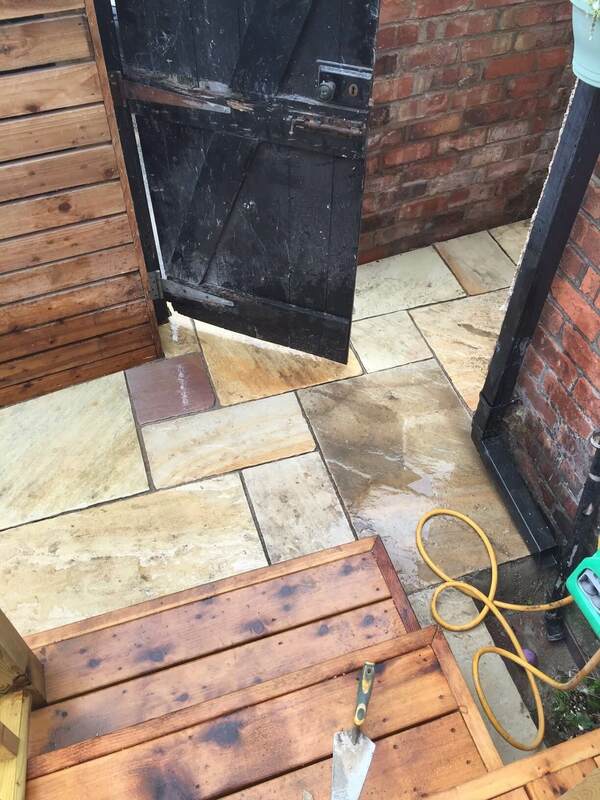 We were creating a patio area with natural Indian sandstone to area by bins includes facia/flag on edge to create retaining edge down to the garden. 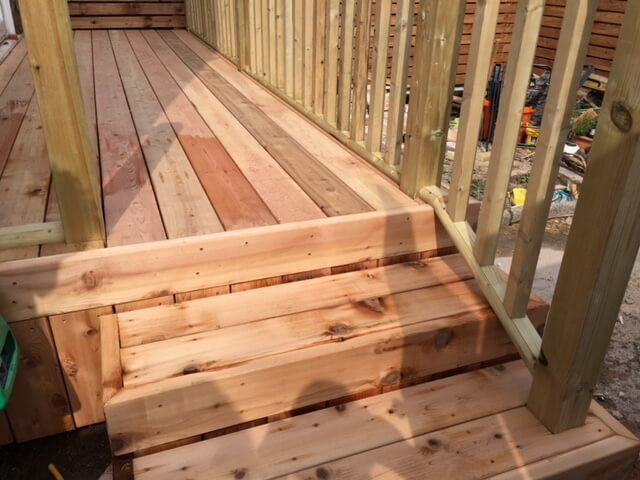 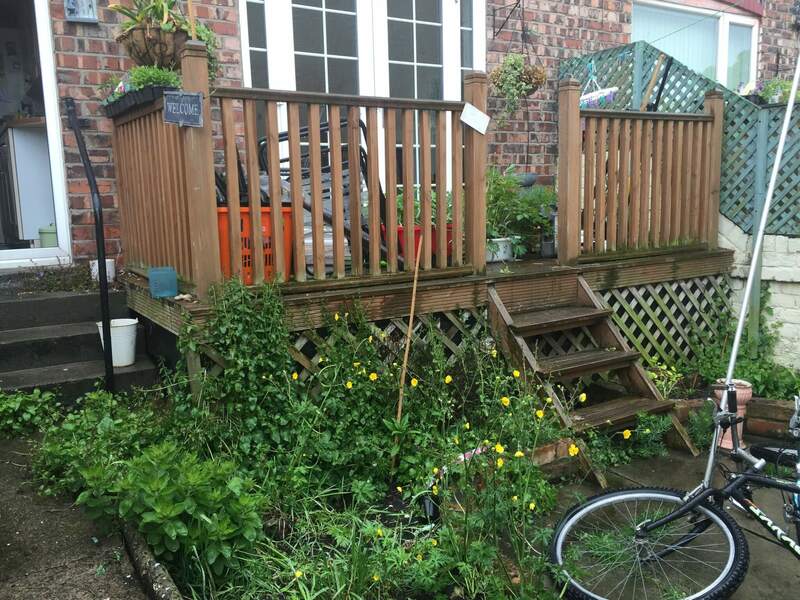 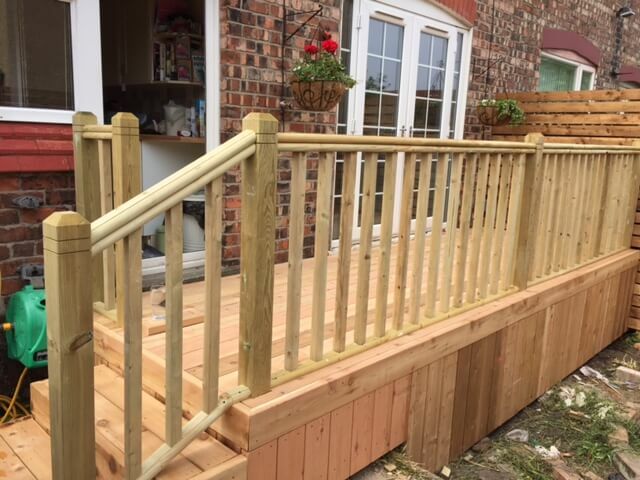 After we installed Redwood decking with handrail and corner decking steps including facia. 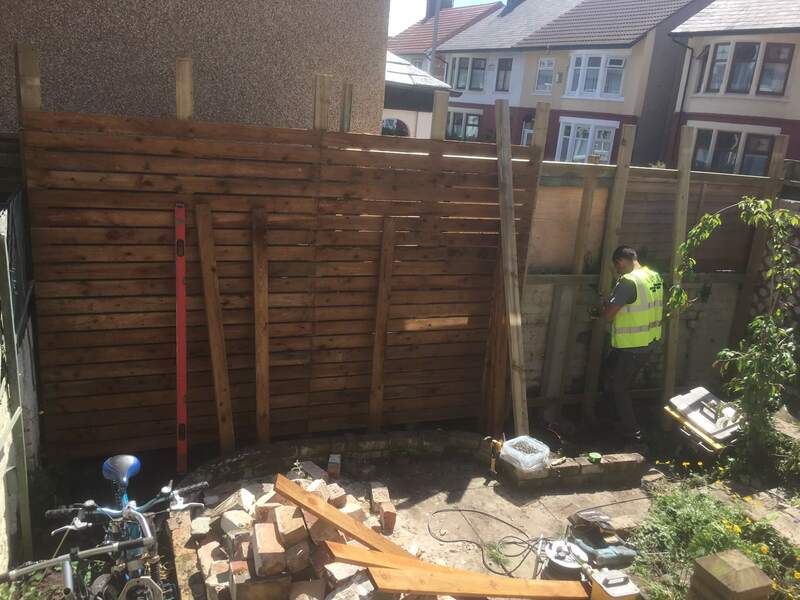 We also installed contemporary slatted fence panels around the garden.